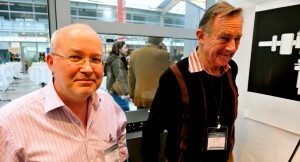 It was a pleasure to attend the Munich Hi-End show. It was in particular important for me to see some friends, customers, manufacturers and other people from the industry. Spent a good amount of time with Roger Adamek of RCM Audio, walking around, and taking pictures. Roger is a very technical person. He approaches photography as an art and a science, same as his approach to building his high quality Bonasus amplifier and Sensor phono stage. My dear friends Peter, and Jolanda of DaVinci Audio were as always enthusiastic and welcoming.. Everyone knows how stunningly good these high quality products are. 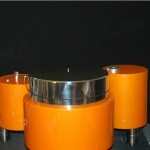 I saw DaVinci Audio inUnison turntable in another room as well. Great sound. Can not wait for my blue inUnison. AMAZON Audio room had on display Hartmut Janssen’s latest creations: First Choice turntable, and AMAZON Audio Speakers. Both great products that will soon be present at SORAsound showrooms. Hans Henrik Moerch presented his tonearms and (finally) his latest reference creation. Moerch reference tone-arm just was selected as Absolute Sound’s 2010 Golden Ear Award. 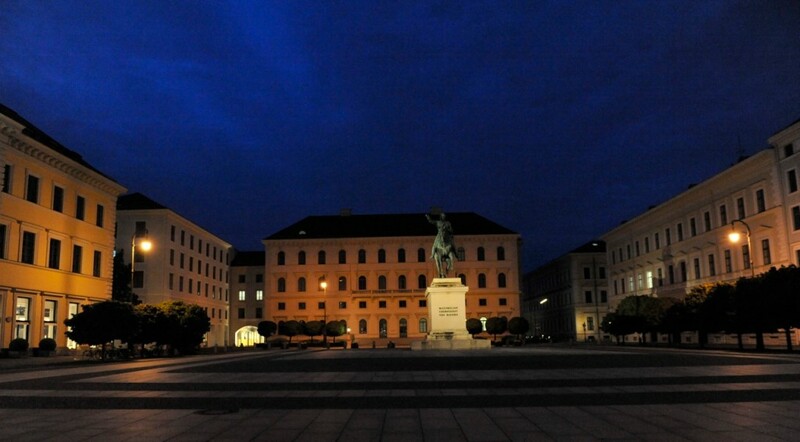 Munich is a good city (pictures to be posted soon by my web lady), nice walks, great culture and friendly people. Many speak good English. As a city, it is a lot more interesting for me than Vegas. So, I was a lot more eager to go to the Munich Hi-End show than The CES. In all honesty, the Munich Meridien Hotel was the least impressive Meridien Hotel I have ever stayed at, even though they had kindly upgraded me to an Executive room, and the service was about as good as all other Meridien Hotels I know of in other countries and America. The location is also pretty boring. So if you are heading to the Munich show next year, I neither recommend the hotel (unless you get a much better rate than I did) nor the area. Had a very good meal at Tantris, known to be the best restaurant in Munich, and one of the best restaurants in Germany. my lyra titan has arrived from japan and is on its way to me. really excited. i will be putting in on my aas gabriel davinci audio tunrtable, and davinci grandezza reference tonearm. a few people in the industry we have talked to say the lyra titan and davinci grandezza are a match made in heaven. more to report….one thing for sure is that i need another tonearm for my aas gabriel turntable to try more cartridges easily. ups is delivering my lyra dorian mono cartridge today. 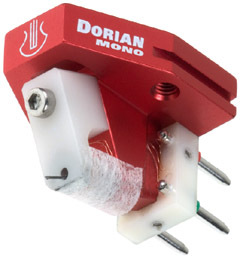 here is a real mono cartridge at an affordable price ($1,110). this is a real mono cartridge. kahori maki has sent me some of her latest works. 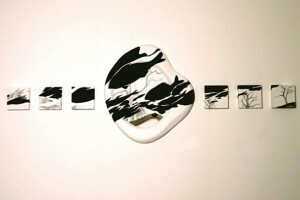 this week, i will be installing them in the showroom downstairs and post some pictures. we have many fine items in the showroom downstairs including amazon referenz turntable, triplanar tonearm, graham tonearm, zyx atmos, lyra scala, lyra dorian mono, shelter 9000, wavac 805 amplifiers, zyx artisan (to be replaced with tom evans phono stage), 47 labs dac and flatfish transport, wadia cd player, emm sacd, all xlo cables, and everything on finite elemente pagode master reference series stands. soon we will be adding a few more products in this showroom. stay tuned. SORAsound now represents lyra phono cartridges. i have heard of lyra since the time i got in analog. i have heard highly of jonathan carr for the last few years and have come to know him a bit in the past few months. and i have known stig for the last few years. and hartmut of amazon audio had been pushing me to go for the line for so many years. why did it take so long? well, count it to my lack of experience and having mistakenly put all my eggs in one basket. now, we represent lyra and have all the intention of demonstrating to our audiophile friends how good the lyra cartridges are.